In addition to my obligations to the Palestine Writing Workshop, I am spending part of my time here in Palestine researching my own stories. I’ve become very interested in the role of writing and reading in contemporary Palestinian society. To that end, I’ve been visiting libraries and bookstores and meeting with writers to talk about Palestine literature. I traveled back into Jerusalem’s Old City to visit the Khalidi Library near one of the gates to the Haram al-Sharif. 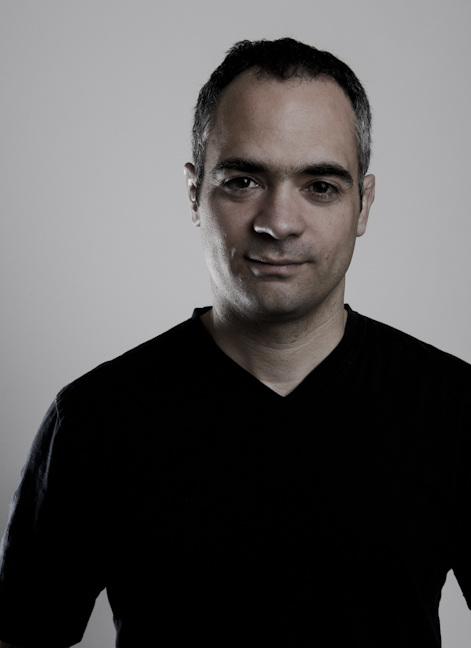 The Khalidi family has had a presence in the Old City for centuries. The Khalidi family tree is rather tangled – a lot of cousins married cousins – but included jurists, politicians, scholars, religious leaders and various other learned men. Over the years, the Khalidi’s gathered the family’s books in a central library. 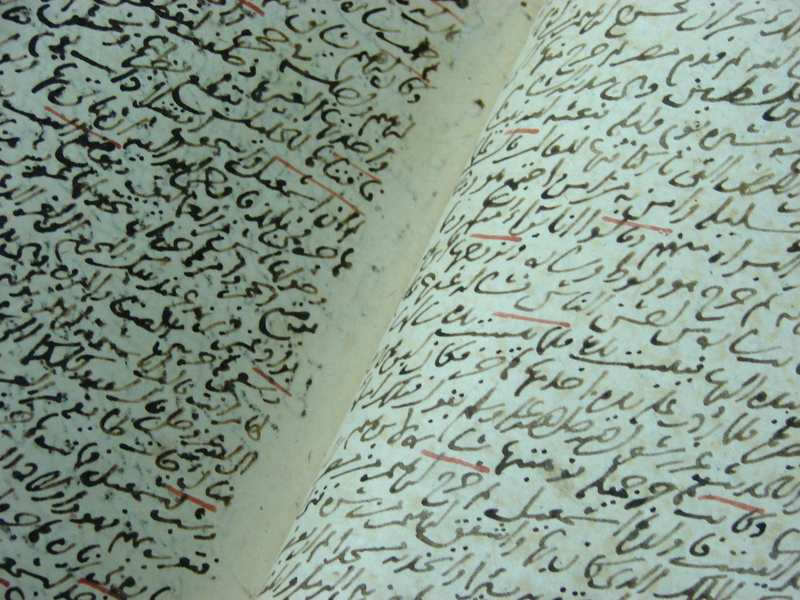 Now the library features 1200 handwritten manuscripts, most in Arabic. Many books in the collection are nearly 1000 years-old. Haifa and Aref Khalidi toured me through some of the books. I saw a 400 year-old gilded Koran that was heavy with gold leaf. 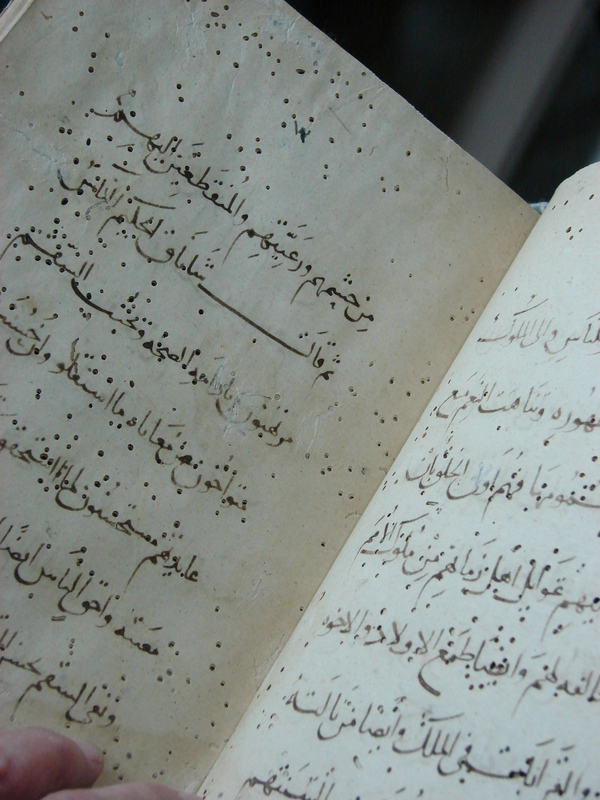 There was a 800 year-old handwritten account of Saladin’s last battle against the Crusaders. An edict from the Turkish Sultan’s favourite wife, Roxana, that called for a soup-kitchen for the poor to be established in Jerusalem. My favourite book, though, was an 600 year-old recipe book of poisons and antidotes. The book was written by a physician from northern India and translated from the original Sanskrit to Arabic. Worms had eaten tiny holes through the pages that resembled rebellious punctuation. Like every story in this part of the world, the history of the Khalidi Library collided with the Israel-Palestinian conflict. The Khalidi family owned a tremendous amount of property in the Old City. Mostly residences and shops. After 1967, though, the Israeli authorities started to confiscate the property one at a time. Haifa’s father fought hard in Israeli court for twenty years to keep the library. He eventually won. Haifa figures were it not for the value of the books contained within the library, the building would’ve been confiscated. This is an interesting bit of poetry, I think. 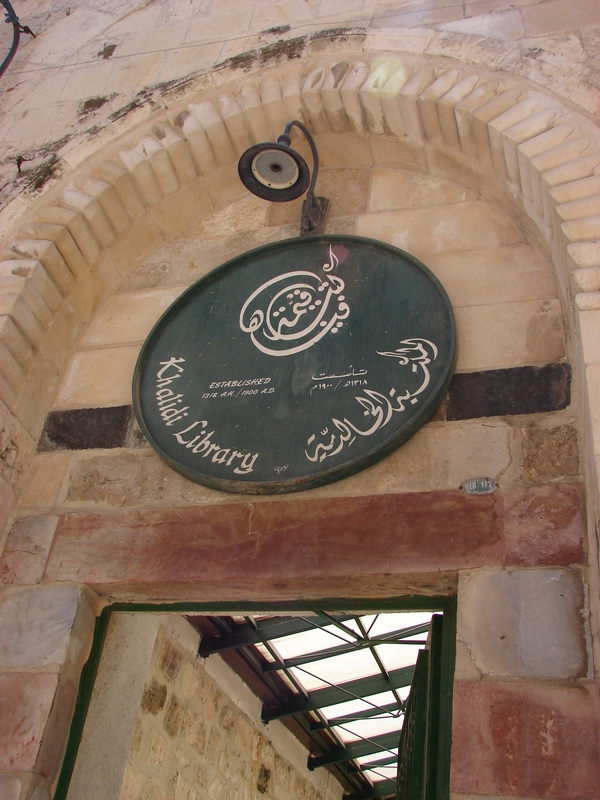 The Khalidi Library was established to preserve the family’s precious books. Years later, the books returned the favour and saved the library.